Candace H. Johnson-For Shaw Media Bob Pataky, of Winthrop Harbor polishes his 1971 AMC Hornet during the Old Mill Creek Car Festival at the Old Mill Creek Country Store in Antioch. 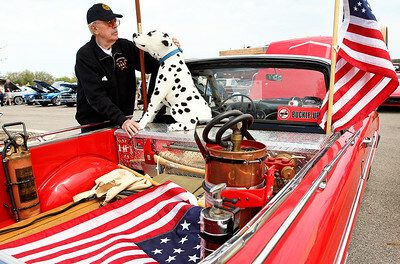 Candace H. Johnson-For Shaw Media John Webster, of Lake Bluff looks at "Sparky" a stuffed animal he put into his 1962 Ford Falcon Ranchero during the Old Mill Creek Car Festival at the Old Mill Creek Country Store in Antioch. Webster, a retired firefighter, turned the Ranchero into a fire truck. Candace H. Johnson-For Shaw Media Tom Grutzmacher, of Waukegan sits next to his 1960 Pontiac Star Chief during the Old Mill Creek Car Festival at the Old Mill Creek Country Store in Antioch. Grutzmacher was at the car festival with his wife, Peg. Candace H. Johnson-For Shaw Media Mike Stevens, of Lake Barrington drives his 2012 Chevy Corvette through the Old Mill Creek Car Festival at the Old Mill Creek Country Store in Antioch. Candace H. Johnson-For Shaw Media Aidan Chang-Yen, 9, of Lake Villa, his twin brother, Evan, and their father, David, look at a 1974 MG Midget during the Old Mill Creek Car Festival at the Old Mill Creek Country Store in Antioch. 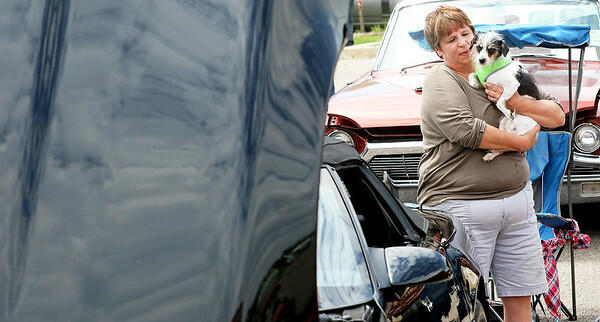 Candace H. Johnson-For Shaw Media Kelly Stockwell, of Beach Park holds her dog, Scully, next to her 1987 Chevy Corvette during the Old Mill Creek Car Festival at the Old Mill Creek Country Store in Antioch. 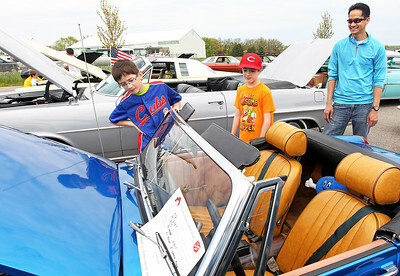 Candace H. Johnson-For Shaw Media Daniel Selea, of Lindenhurst and his daughter, Ariana, 9, look under the hood of his 1973 Cadillac Eldorado during the Old Mill Creek Car Festival at the Old Mill Creek Country Store in Antioch. 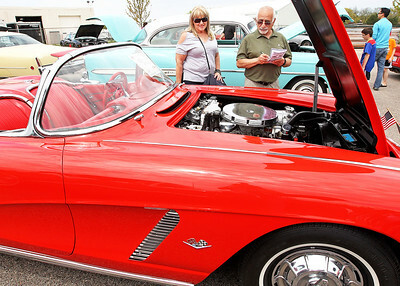 Candace H. Johnson-For Shaw Media Sue and Joe Scafide, of Elmwood Park vote for "Best of Show" as they check out a 1962 Chevy Corvette during the Old Mill Creek Car Festival at the Old Mill Creek Country Store in Antioch. The Corvette was owned by Ray Tromotola. 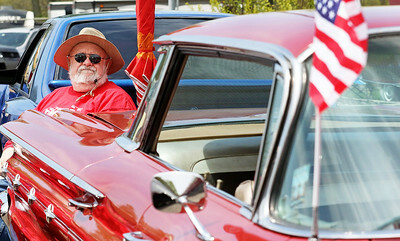 Mike Stevens, of Lake Barrington drives his 2012 Chevy Corvette through the Old Mill Creek Car Festival at the Old Mill Creek Country Store in Antioch.